Can I be prosecuted for comments on the Internet? Just a few years ago, it was uncommon for someone to be prosecuted for content posted on the Internet. However, since cyberbullying is now so prevalent, law enforcement is stepping up investigations where victims are threatened, harassed or stalked online or by cellphone. There have been a number of cyberbullying cases in recent years where teens faced various charges for their online bullying. 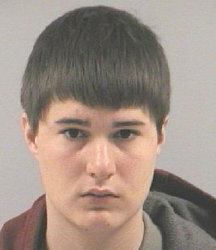 Joshua* was a 17-year-old student in North Carolina. A few days after the Columbine killings in 1999, he posted “The End is Near” on the school’s screensaver. He was charged with communicating a threat and a jury found him guilty. He was sentenced to 45 days in jail, one and a half years probation and 48 hours of community service. On appeal the court reversed the conviction ruling that there was no evidence of a willful threat to injure anyone or damage property. 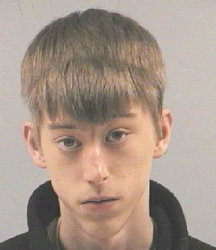 In January, 2011, two North Carolina teens were charged with misdemeanor cyberbullying. Justin Ray Jackson, 17, and Joshua Aaron Temple, 18, created a Facebook page where they threatened a 15-year-old classmate. They wrote that they were going to harm the boy and Jackson added “that he was bringing a gun to school to hunt [the teen].” North Carolina law makes it a crime to intimidate or torment a minor by use of the Internet. Temple and Jackson were released to their parents with a court date in March, 2011. They were both suspended from school for ten days. Ian** was a 16-year-old student at Milford High School in Utah. On a webpage at home he criticized his teachers, classmates and principal. The police were called and Ian was charged with libel, which is an unjust statement that exposes someone to public contempt or ridicule. The charges were dismissed by the court because the state law defining libel was too broad and ambiguous. Ian was lucky and hopefully learned something about the legal system. Although not perfect, it can disrupt your life even when no criminal intent exists. Take a look at “8 Florida teens face prison for video assault“ for the story about Victoria Lindsay (age 16) who was beaten on March 30, 2008 by a group of classmates. The incident was videotaped for posting on YouTube and MySpace. Learn more about online comments that may or may not be protected under Internet freedom of speech. **I.M.L. v. State of Utah, 61 P.3d 1038 (2002).